I recently got asked if the sole of Adidas Ultra Boost shoe is strong enough for deadlift. That was really a good question that got me thinking and asked myself, wait, why not do some research and write an article about top 5 weightlifting shoes? Thanks to the guy that asked the question. Today shoe brands specifically design some shoes to function better in certain environment and season for specific purposes. They have different categories of shoes such as lifestyle, running, basketball, football, skateboarding, gym, and so on. Their focus is mainly on how the shoes can function well in the environment where they are going to be used. What this means for wearers is they will get the best of what it has to offer. My running shoe looks dope and very stylish. Is it okay if I use it as a lifestyle sneaker? That is a question some people want to know the right answer for. Shoe designers might have named a shoe to be a running or basket ball shoe, but that does not mean they are not culturally minded. The truth is some performance shoes are more lasting when used as lifestyle shoes or for other purposes. An example is Air Jordan 6. The Air Jordan 6 is a basketball shoe. However, fans still think the shoe is dope for casual wear. Another good example is Adidas Ultra Boost. To be honest, almost all sneakerheads are fascinated by the design and overall look of the shoe. 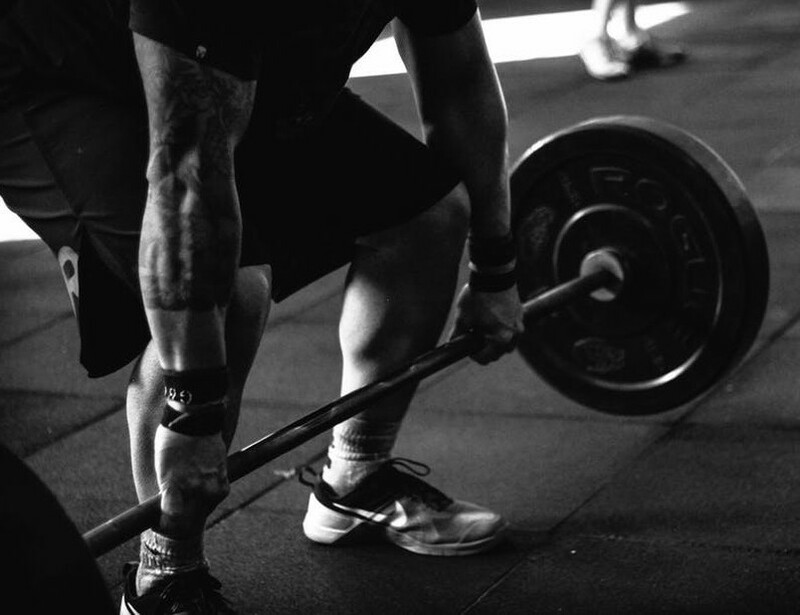 What you should keep in mind is if you use a shoe that is specifically made for casual wear for weightlifting, its lifespan may be very short. Your feet may not feel as comfortable as it would in weightlifting shoe. The shoe may start to tear apart in few months. In this case, it may be a good idea to rethink before blaming it for the poor durability. Using lifestyle sneakers for performance is different from using performance sneakers for lifestyle. Weightlifting is much more than running and jogging when it comes to exerting force on a shoe. This is a training that uses a lot of your energy. In weightlifting, you need a good ground. Your feet is the main link between your muscle and the ground. During this training, the great amount energy can be felt in this link. As a weightlifter, you do not want anything to affect the link. The third law of physics says, for every action there must be a reaction. Therefore, you need a shoe that can provide the support you need when weightlifting. You also want your feet to be as comfortable as possible during the training. Having a weightlifting shoe do not only make your feet feel more comfortable but also prevents unnecessary injuries. After some hours of research, I have come up with the best 5 shoes that are specifically made for weightlifting and other related trainings. I will be providing you the link of the places where you can buy them if you want to. 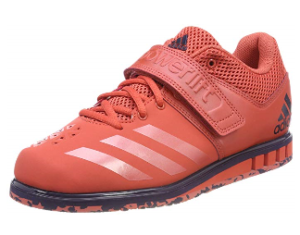 If you are looking for a weightlifting shoe that can do very well in squat and clean, deadlifts and other weightlifting exercises then Adidas Powerlift 3.1 may be your option. The shoe features narrow fit amd synthetic leather upper which offers great ankle support. It has air mesh collar, tongue and lining that offer better breathability. 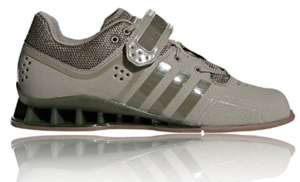 Adidas AdiPower Weightlifting shoe is specifically built for weightlifting which is the reason it is one of the best weightlifting shoes out there. This shoe provides a stable platform for squats, deadlifts, and other weightlifting activities. It features hard rubber on the bottom. You should also notice two “Hook & Loop” straps over laces for additional support. The Reebok Legacy lifter was engineered for performance on the weightlifting platform. The midsole features Thermoplastic Polyurethane (TPU) for control and stability. The upper strap features Flexcage technology for lightweight support. The inov-8 Fastlift 335 offers lightweight, superior flexibility and comfort. 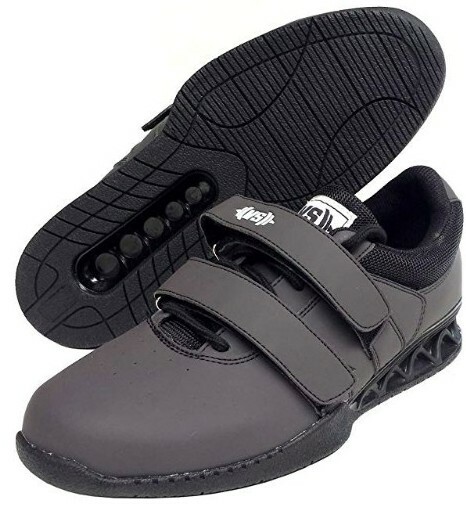 The heel and midsole are specifically designed to provide needed support for weightlifter. The shoe was not just designed for weightlifting, it can function very well in all aspects of workouts. The aforementioned sneakers are my top 5 for the best weightlifting shoes. They have all got all you can ask for when it comes to weightlifting. They do not only make you feel comfortable and prevent unnecessary injuries but also help improve your performance. Great information , i have been considering some new sneakers for a while now for training, you just made my job easier. Thank you. It’s good to hear that, Garry. Let me know if you need any help. Very thorough, thank you. I’ve been using cross training shoes for weightlifting for some time and have toyed with the idea of getting something more specifically designed for lifting weights. Do you have any thoughts on using a cross trainer for that? I go back and forth on it myself. Thanks for the question. You can stick to the cross trainer if your training does not involve heavy squaty/heavy Olympic lifting , deadlifting and some other activities that require a trainer with very solid base. Very helpful and detailed review, the shoes look so good. makes me wonder if they also make the same kind for women? anyway, thank you for this review. Thanks for the question. There are women version of the shoes. 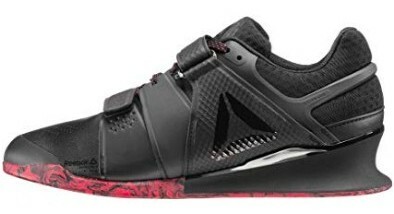 You can find the women version Reebok Legacy lifterr on Amazon.